Humboldt Bay is now home to one of the most advanced ocean chemistry monitoring instruments in the world. 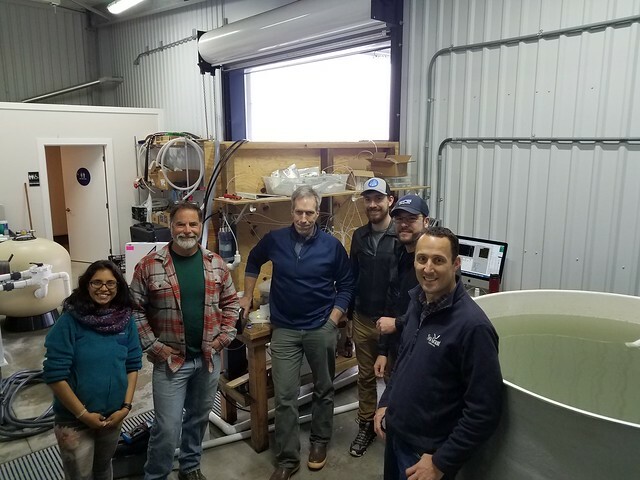 On May 14, Oregon State University oceanographer Burke Hales joined California Sea Grant and Humboldt State University researchers to install his namesake invention, the “Burke-o-Lator,” at the Hog Island Oyster Company’s new hatchery on Humboldt Bay in northern California. It is the third such device to be set up in the state. "Not only will this installation expand our capacity to monitor ocean acidification, it will also provide our students with technology and data streams that can improve their understanding of carbonate chemistry in seawater. This is often one of the most challenging topics to teach in the ocean chemistry classroom. In addition, students will get experience with state-of-the-art equipment that will become more common in water quality laboratories around the country. This will better position our graduates for success in the job market," says Jeffrey Abell, a chemical oceanographer at Humboldt State University who is helping to lead the project.